In the heart of the Lyonnais peninsula, in the centre of the Golden Square, the cubic contemporary architecture of the Sofitel Lyon Bellecour has stood out as the prized address for Lyonnais and international customers for more than 50 years. It was the first hotel in Lyon to receive five stars, and ever since the establishment has kept improving in order to maintain its ranking. 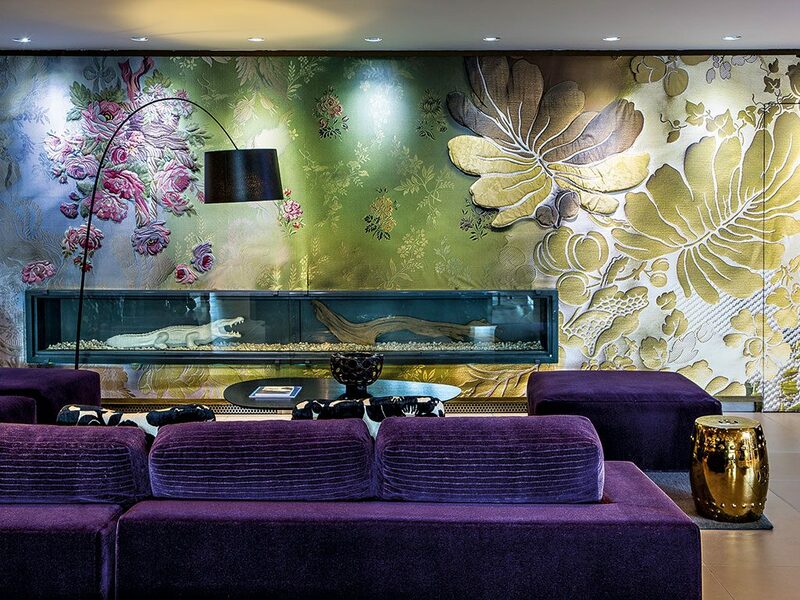 The Sofitel Lyon Bellecour comprises 164 rooms, including 36 junior suites and three 80sq m prestige suites. These rooms offer optimum comfort, boasting every facility imaginable and a service dedicated to customers’ every need. The modern yet cosy design incorporates the traditional Lyonnais silk in all colours and materials. This delicate touch accompanies guests on their journey up to the eighth floor, where the Sofitel Lyon Bellecour houses one of Lyon’s finest restaurants, Les Trois Dômes. Here guests can enjoy breathtaking views in a refined environment, in a restaurant that has been awarded Michelin star status for the past 11 years. Chef Christian Lherm – in position since 2012 – offers a seasonal cuisine with a perfect balance between tradition and modernity. He enjoys cooking fresh, high-quality products, which his passion and savoir faire turns into savoury works of art. The restaurant’s wine menu, which places special emphasis on regional varieties, has more than 450 wines on offer. This variety allows the sommelier to advise the best harmony between wines and dishes while respecting personal tastes. The pastry chef’s exquisite desserts contribute to making the excellent reputation of the restaurant’s cuisine. On the ground floor, Le Silk Brasserie is the place to be for people who enjoy the hustle and bustle of the city. Between morning shopping and afternoon sightseeing, it is ideal to have a delicious lunch in a friendly and modern atmosphere. Chef Guichonnet offers a very fashionable ‘bistronomic’ cuisine, which combines simplicity and modernity, while the staff enjoys giving advice on which bottle of wine best goes with the chosen dishes. Homemade desserts are prepared every day by Les Trois Dômes’ pastry chef, including seasonal fruit tarts and typical French pastries. All day long, the Light Bar, which is the Sofitel Lyon Bellecour’s Lobby Bar, welcomes business meetings or friends having tea. Sweet or savoury food is available for those wanting a quality quick bite. For those in search of a cup of tea or an aperitif, the Light Bar is the ideal place for a meeting in the town centre. 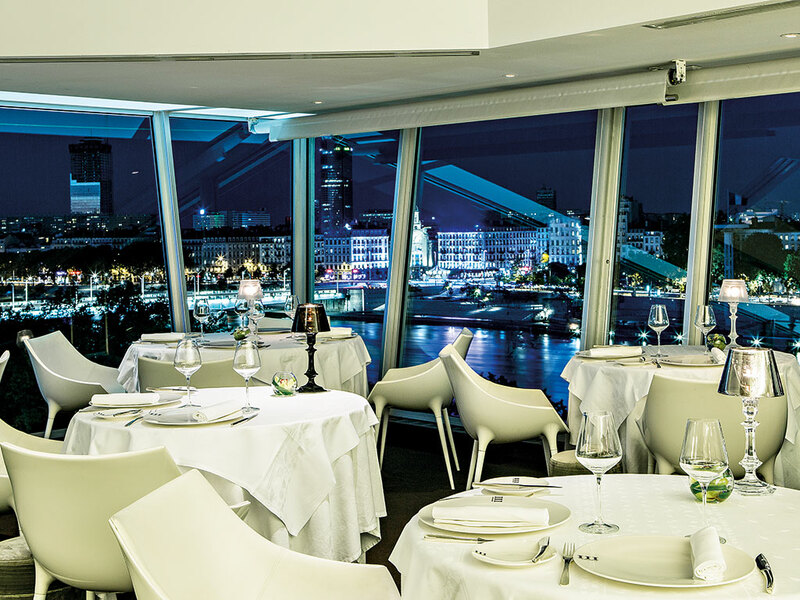 In the evening, the lounge bar Le Melhor – meaning ‘the best’ in the Lyonnais dialect – serves the city’s best cocktails in front of one of the most amazing views of Lyon and the Rhône river. The barmen mix their passion with their customer care to create dozens of new recipes on a frequent basis. The iPad menu offers more than 20 different cocktails, although the barmen are also fond of surprising the most adventurous taste buds by creating bespoke cocktails for those who can provide characteristics they like. For businessmen and women, the Sofitel Lyon Bellecour boasts the largest seminar capacity in downtown Lyon, with 12 adaptable and fully equipped rooms. From a private panoramic dining room and large, 350-person capacity plenary rooms to simple board meeting rooms, Sofitel Lyon Bellecour’s inspired meeting concepts answer every need with ultra-personalised care and service, complemented by a high-quality catering offer. Every cocktail, lunch or dinner served in the meeting rooms are produced by the hotel’s Michelin-starred chef. Last but not least, the hotel’s wellbeing area, So FIT, offers a steam room, a shower experience path, tonic and relaxing massages, facial and body hi-tech Biologique Recherche treatments, as well a fitness centre with personal trainers available by appointment.